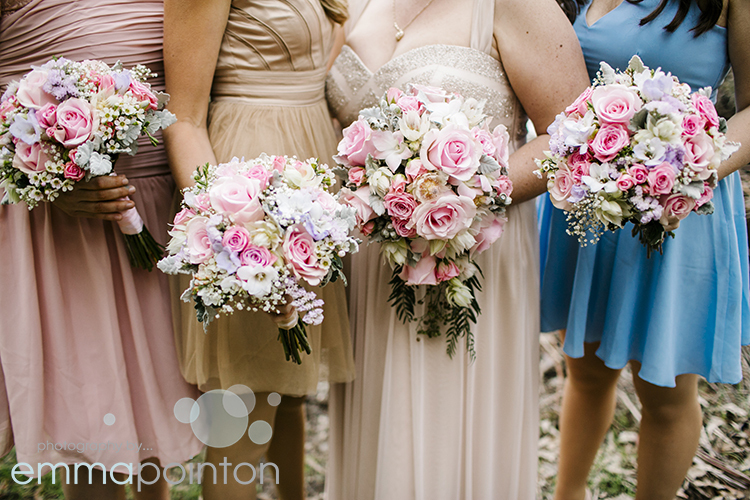 In early August, Jasmin & I headed to Dwellingup to photograph Sarah & Ben's wedding at Nanga Bush Camp. Nanga Bush Camp is on the Murray River, in the middle of the beautiful Dwellingup Jarrah forest. Sarah got ready down the road at the Dwellingup B&B and Chalets and went for less traditional bridal shoes, made by Converse, to be able to navigate easily through the bush after the ceremony for portraits on the Murray River. 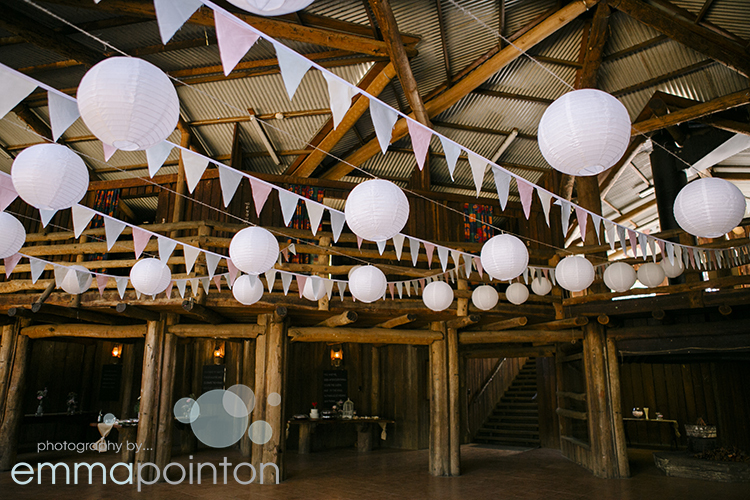 Sarah & Ben really focused their wedding decor on the bush surroundings and the eco-feel of Nanga Bush Camp. They collected used jars for drinks (complete with little chalkboard stickers so that guests could label their drinks and not lose them during the night, brilliant! ), had burlap and bunting to give Timbarra Hall the festive feel, with lyrics from songs the love on chalkboards around the room. As a lot of the guests were also staying the night, Sarah & Ben had even thought about their guests sore heads the next morning and provided hangover kits as the guests left the party and heading to their sleeping quarters. Despite Dwellingup having an average rainfall of over double that of Perth even though it is less than two hours away by car, it was a beautiful, sunny, winters day so the ceremony could go ahead outside, surrounded by the trees (and even a kangaroo & her joey making a guest appearance for the couple). As the night closed in, the temperature dropped and the open fire pit inside the hall was handy for warming up hands and toasting marshmallows was a must.